Главная | Информационный центр | Лента новостей. Ювелирные новости | "Синтетические изумруды"
14-16 марта 2011 в г. Порто (Португалия) состоялся международный конгресс Всемирной ювелирной конфедерации (CIBJO). В нем приняли участие сотрудники Геммологического Центра МГУ. Заведующий отделом экспертизы Юрий Шелементьев выступил с докладом «Синтетические изумруды». Обратите внимание на учебник по геммологии из нашего каталога. 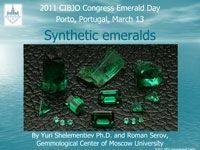 2011 CIBJO Congress Synthetic emeralds, Yuri Shelementiev, Ph.D. Roman Serov, Gemmological Center of Moscow University, Methods of emerald synthesis, Main features of synthetic emeralds, Microworld and inclusions, Visible absorption spectra, Infrared spectra, Trace element chemistry, Market of synthetic emeralds, Synthetic emeralds producers, C. Chatham, P. Gilson, Linde, Kyocera, Biron, USSR (Russia), Tairus, Malossi, growth methods, flux, hydrothermal, Flux method, Flux grown emeralds,Hydrothermal method, autoclave, Metal inclusions container partial dissolution, Veils in synthetic flux emerald, Undulating growth structure in synthetic hydrothermal emerald, hydrothermal synthetic emerald, flux grown synthetic emerald, Visible range spectroscopy, transmission, Infrared spectroscopy, Raman spectroscopy, Trace element chemistry, Natural emeralds, Properties depends on growth method, producer, and color controlling elements, synthetic emeralds are closer to natural ones by color and microscopic features, advanced identification techniques, Polartec, Houng L., Hager T., Hofmeister W. 2010. ConfocalMicro-Raman spectroscopy: A powerful tool to identifynatural and synthetic emeralds. 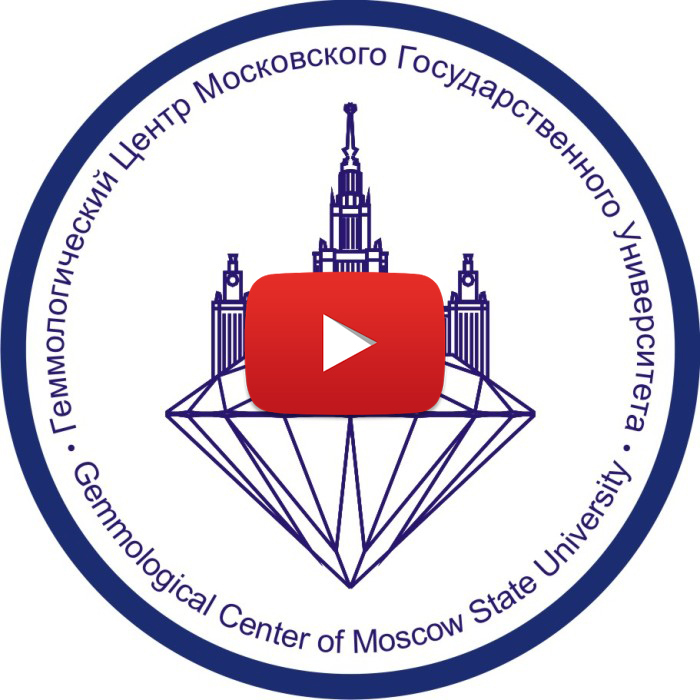 Gems&Gemology, Kopchikov M., Shelementiev Y. 2003. Synthetichydrothermal beryl of red, green and blue color: theidentificational propertis. Gemmologcal Bulletin, 3. Schmetzer K., Schwarz D., et al. 2006. A new type ofTairus hydrothermally-grown synthetic emerald, colouredby vanadium and copper. J. Gemm.